Most of my work is with schools. Since starting the business at the beginning of 2006 I have introduced drumming to thousands of children throughout Ireland. I really enjoy working in schools and always find the same enthusiastic response from children no matter where I go. The workshops are tailored for the needs of each class and are suitable for both primary and secondary schools. All instruments are supplied and the workshops are completely hands-on. All each school needs to provide is a room for the day with enough chairs for all the participants; DRUM NATURE will do everything else! The aim is to give pupils an accessible and enjoyable experience of music making. The workshops are designed to encourage a sense of confidence in music irrespective of previous experience. My attitude is always one of complete encouragement allowing the pupils an opportunity to express themselves, discover music and feel confident in their ability to do it. The emphasis is on creativity, teamwork, listening and having fun! The instruments used are different drums and percussion instruments from around the world. There will be opportunities during the workshop to swap around and try out different ones. Pupils will learn about working together as an ensemble as well as learning to play and compose rhythms. Full participation is guaranteed with an instrument for everyone. 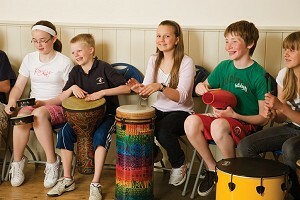 The workshop is more than a drumming class, it is a complete musical experience! Up to six sessions can be done in a full day with up to 35 participants in each. The timetable for the day can be arranged to suit your needs and session times can vary depending on class age and number of sessions in the day; this can be discussed with you when booking. The workshops are suitable for all ages from junior infants upwards. Pre-school children can also be catered for. I am happy to travel anywhere in Ireland for a school. I try to keep my costs as low as possible but if an overnight stay is required I will need to add a little extra to cover additional expenses. This can be discussed when booking. I have worked with some schools in providing workshops over the course of a number of weeks that culminate in a performance. If you would like to have this for your school, please contact me and we can discuss cost and details. Check out the testimonials page for some feedback from teachers. Different types of workshops can be arranged to suit different classes. 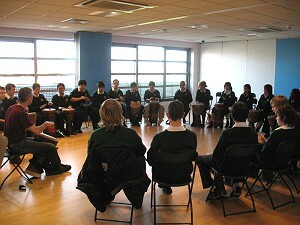 I have worked with Transition Year and LCA groups in providing workshops focusing on traditional African drumming as part of a music project. Typically these kind of workshops would focus on the experience of playing traditional African rhythms and drums as well as some background into the origin and history of the music and instruments. I have also been asked to provide a general level workshop in collective music making for various classes. The aim of this kind of workshop would be to provide an accessible experience of music making that focuses on creating a collective rhythm together. In this kind of workshop I would give instruction in how to play the different instruments and would utilise some simple rhythm exercises that provide a method of rhythm composition. 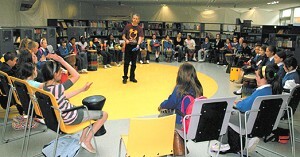 Workshops can be arranged that culminate in a performance. It would be possible for a class to prepare a piece for performance even after one one hour workshop. I am very happy to discuss with schools and music teachers what they would like out of the workshop. Sessions times can vary depending on the group and how many sessions I do in the day. I have done sessions ranging from 40 minutes up to three hours. This can be discussed with you when booking. I am happy to travel anywhere in Ireland for a school. I try to keep my costs as low as possible but if an overnight stay is required I will need to add a little extra to cover additional expenses. This can be discussed when booking. Check out the testimonials page for some feedback from teachers. I am also available for other activities such as after-school clubs and summer projects. I would be happy to discuss with you workshop times and a price that suits your needs. I am also a supplier of quality West African djembe drums sourced directly from craftsmen in the Gambia. For a drum with a strong padded bag, a discounted price of €200 is available to schools.